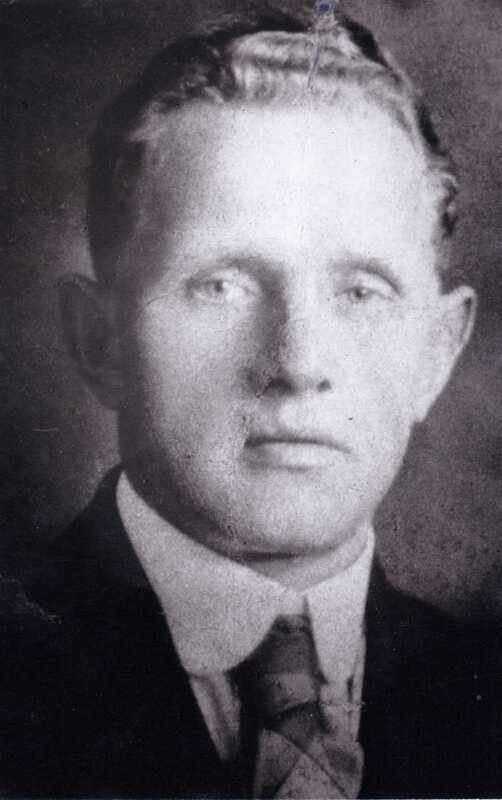 As I’ve been thinking about Berlin as we plan our upcoming trip, I began again to think of family history, and specifically the saga of my Esau grandfather, Robert Jacob Esau (1884-1955). Now that the internet contains SO MUCH information, it’s easy to spend hours and get lost in tracing a geneaological path. And that’s what I did the other day! I thought it might be useful, instead of letting all these bits and pieces disappear into fragments of memory in my brain, to write down what I’ve found. I’m even fantasizing that we can go visit the little West Prussian (now Polish) village where he was born. The family story–mostly learned from my mother, who asked “Pop” questions before he died–says that Robert came from a Mennonite family that settled outside Danzig in the 16th century, coming originally from Holland to build dikes. Because of their religion, or so the story came to my mother, they were not allowed to settle in the Hanseatic city of Danzig, but were given large plots of good farmland around the city. 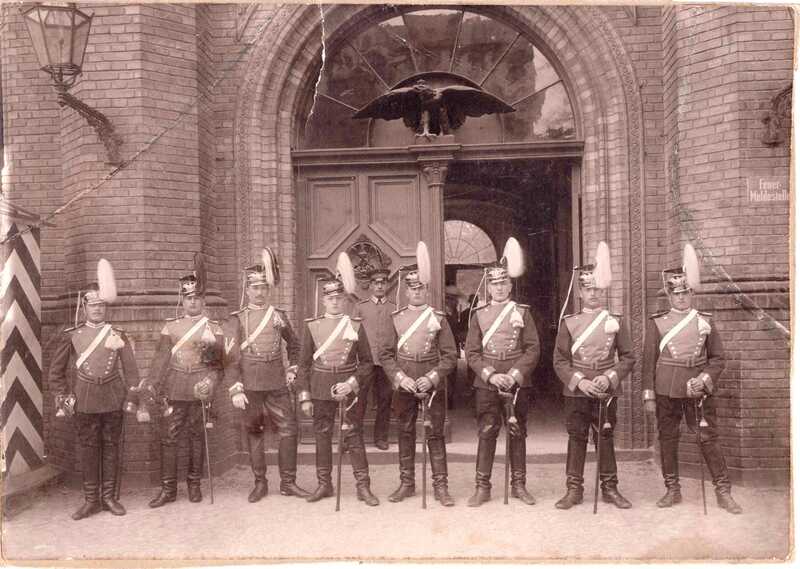 That’s all we knew of my grandfather’s origins–and that he had been a Kaiser’s guard! 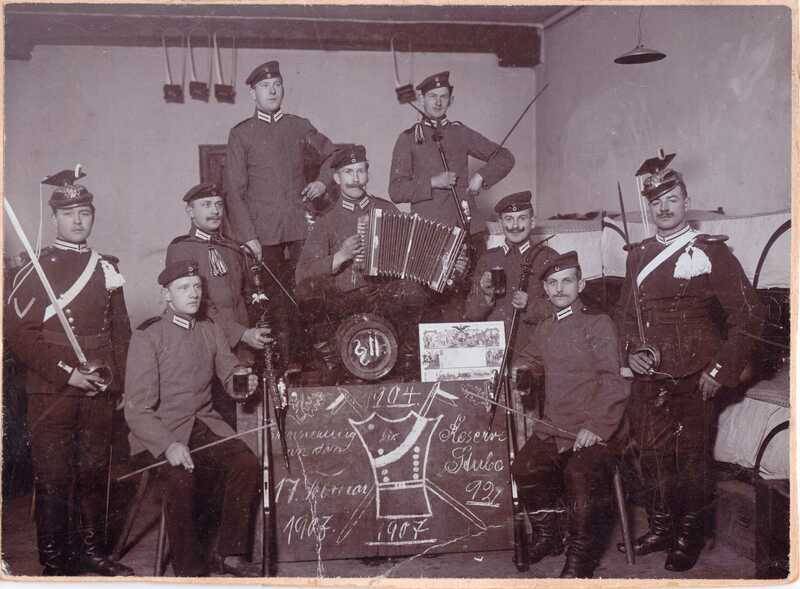 We have a photo of him in his Germanic regalia (he’s the one in the middle) and with his beer-drinking regiment. 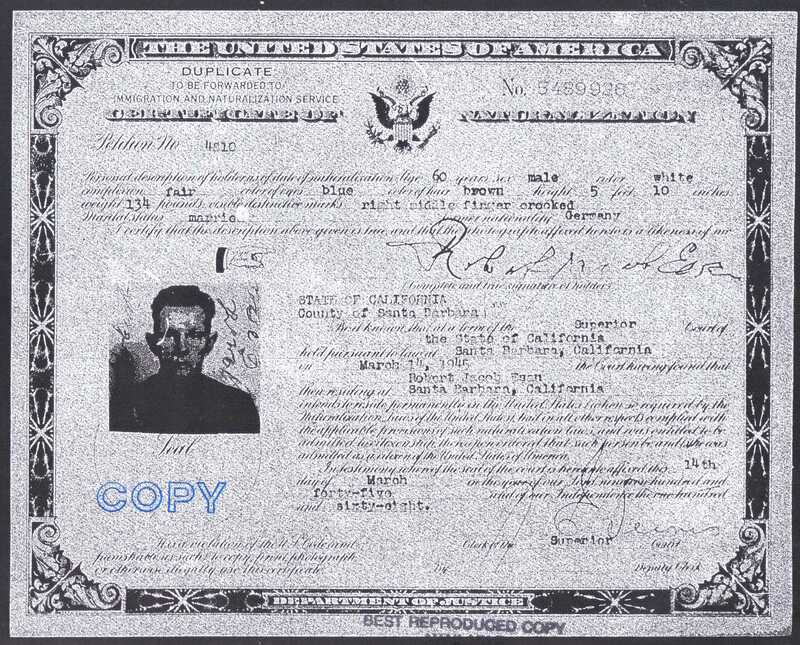 The records online seem to indicate that he was for a time in Florida, but by the 1920s he was in Los Angeles. He worked as a chauffeur and met my grandmother while working for one of the Hollywood families where she was a cook. 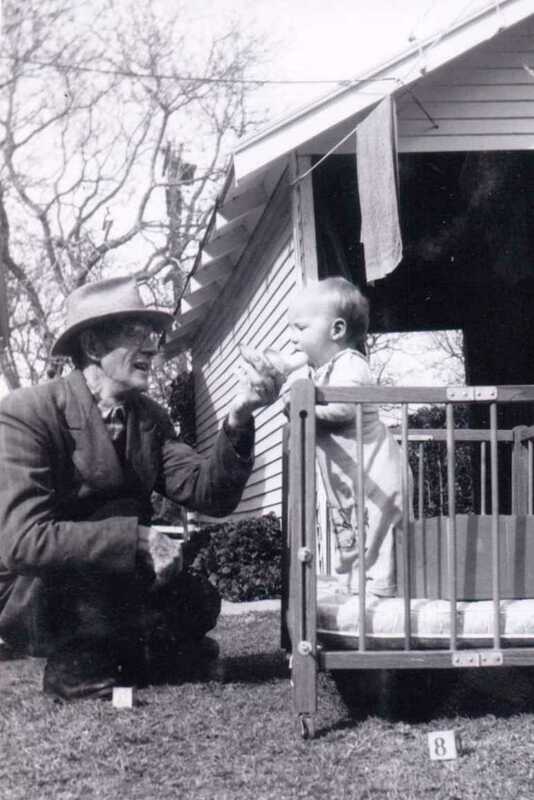 They lived in Thousand Oaks when there was nothing but scrub (the photo shows him with my grandmother and uncle Robert at their homestead in Thousand Oaks), then in the 1930s moved to Santa Barbara. 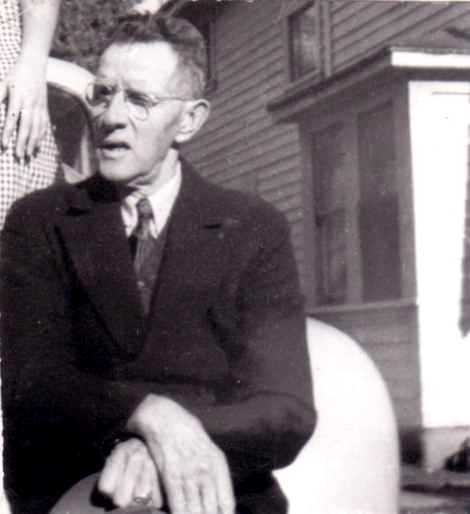 By the 1940s, still a German citizen, he was infirm, and when my mother got into the family, he spent most of his time sitting in the living room or out in the back yard, almost always formally dressed. I remember him vaguely; I was 5 when he died, and I remember I refused to go to the funeral. My mother said he was ecstatic when I was born and she named me Erika; his brother was named Erich. When he got a pension when I was a baby, he bought my father a rifle and for me, a silver cup. I still have the cup. 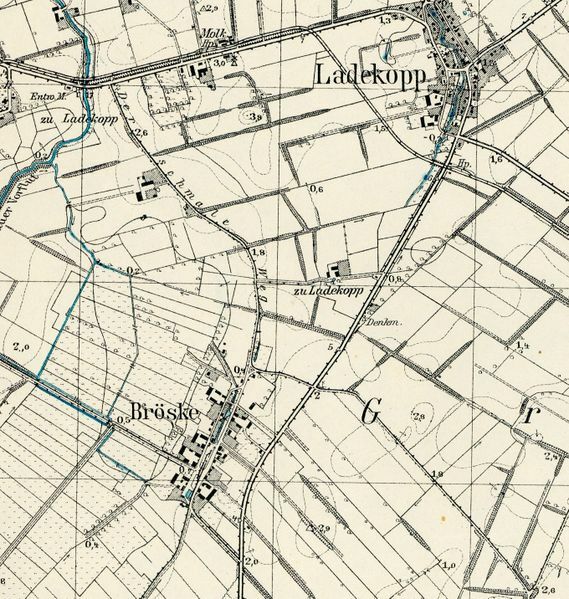 On a map of West Prussia, 1880, I found Bröske next to Ladekopp (today Lubieszewo). Listed as among the prominent Mennonite families of the region were the Esaus. This region was discussed in many of the articles about the Mennonites of West Prussia, many of whom left Germany for America starting in the 1880s and on into the early 20th century. The stricter Mennonites left because the Prussian government did away with the military exemption for Mennonites, who by religious conscience were pacifists. Most of these groups settled in Kansas and Nebraska, and many went to Canada as well. When I was in college I had a dorm mate who was named Regfshauge and who came from Kansas. 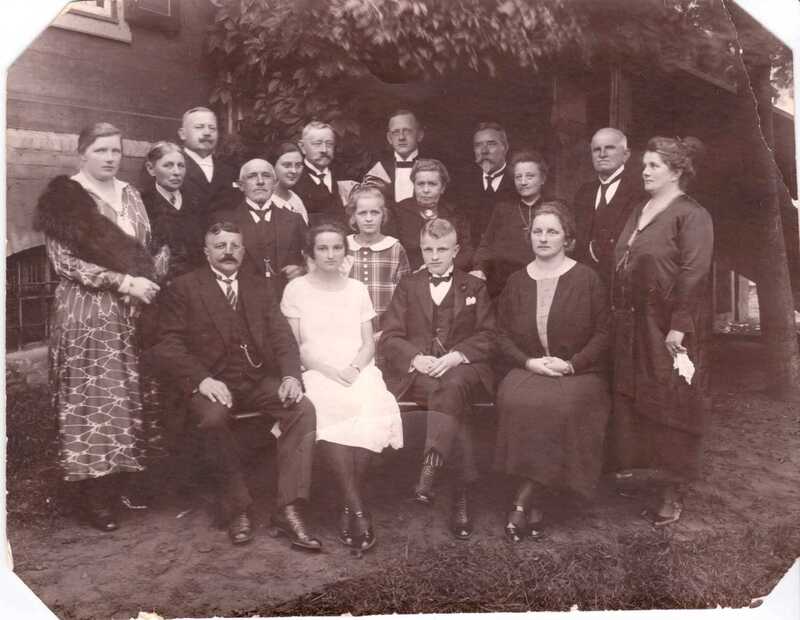 She knew many Esau families there, and knew that her family was from this part of Prussia, too (A very good article about the Mennonite split over conscription is http://ml.bethelks.edu/issue/vol-58-no-3/article/whoever-will-not-defend-his-homeland-should-leave/). My grandfather’s congregation must have been the less observant of the Mennonites by this time, many of whom allowed their sons to be conscripted, but for non-combatant roles. This may be why my grandfather ended up as a Kaiser’s guard rather than a soldier. Amazing that it still exists, and looks pretty much the same as it did on the map of 1880! And for the sake of the record, so I can find it again, this map is located at 54.17, 19.02. 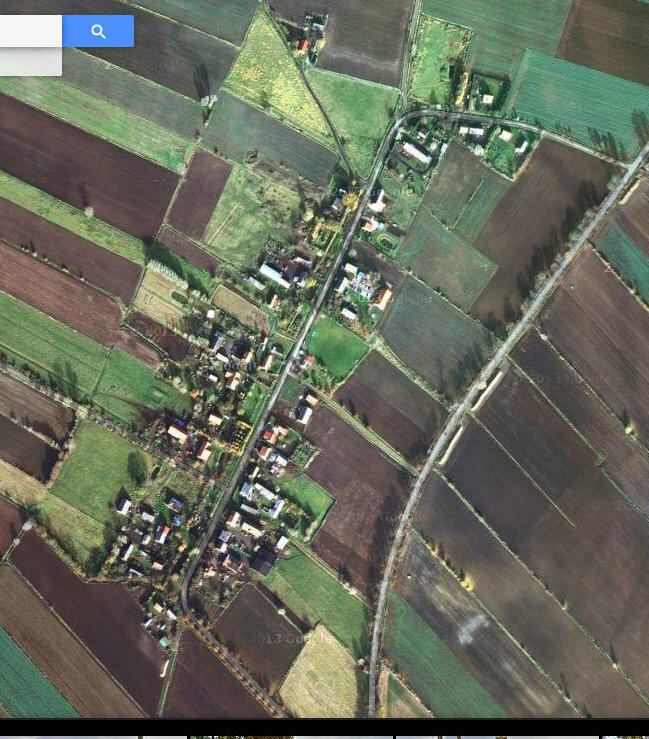 I am sorely tempted to go visit this part of Poland when we’re in Berlin. It’s only a few miles now from Gdansk proper, so we could either drive there in 6 or 7 hours, which might be fun, or we could fly to Gdansk, and then drive to visit. I find it interesting that I have always had more of an affinity for this side of my genes than for my grandmother’s Norwegian side, for example. I would also like to figure out what happened to that branch of the Esaus, once all the Germans were forced to leave West Prussia after World War II. 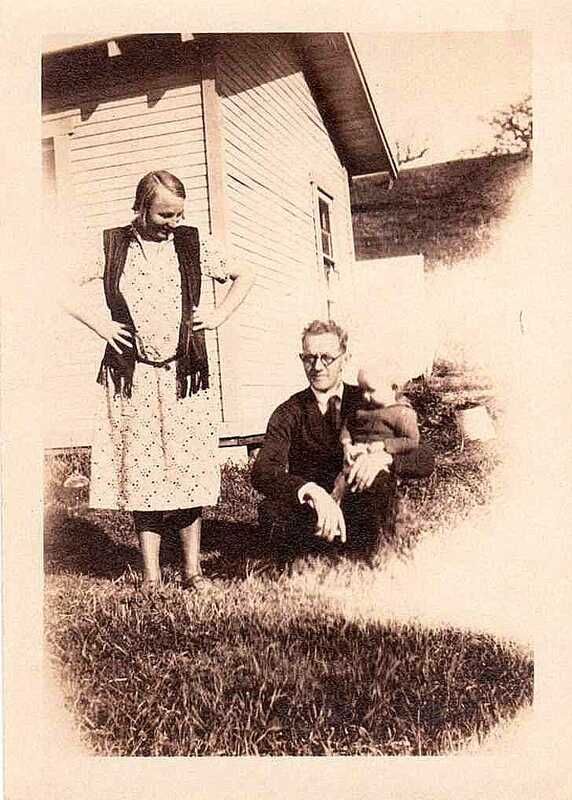 I know from the one photo we have of Pop’s family that a portion of them were already in Berlin by the 1920s. Here is a photo from some Esau’s confirmation day, dated on the back as in Berlin, 1925. I have no idea who any of these people are, but assume some of them are relations. What fun this has all been! I suppose I should post this to the geneaological sites, too. I’m hoping that I can keep up to date with our plans as they fall into place, but here I am, already behind! We have now heard from our friends Henry and Val, who say we can stay at their London apartment for as long as we like. We will be in London 4 September-15 September. Other than visit the Tate Modern, which I have yet to see, I don’t have any idea what we will want to see or do in London. All suggestions and recommendations welcome! Having learned that the apartment is very near Euston Station, I have just researched a little to discover that Euston was the very first railway station in England, built in 1837. 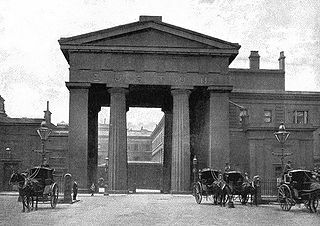 The famous Euston Arch, which used to mark the entrance to the station, was demolished in the 1960s. There have been efforts to rebuild it ever since. On 15 September, we’ll fly to Berlin, where we will stay for two weeks. I have yet to book a flight, primarily because I can’t figure out the baggage limitations on these discount airlines. Ryanair seems out of the question, since we’ll be travelling with all the baggage we need for nine months away from home, and their checked baggage fees are brutal. I think we’ll be OK with Germanwings (yes, the airlines that had the crazy pilot fly into an Alp! ), which (I think) allow one bag each up to 23 kilos. That should be more than enough for us! We have now booked via AirBnB an actual HOUSE near the middle of Berlin! 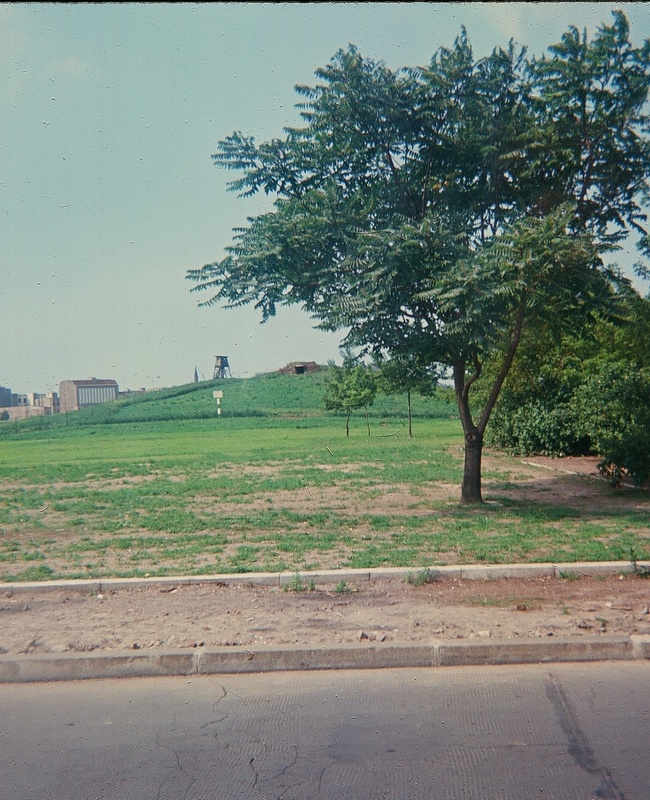 At the time, I remember shuddering at the realization of what this meant: the thousands of buildings, the thousands of lives lost, represented by these huge mounds now covered in greenery. I am now contemplating what we’ll do in Berlin. Aside from visiting the East, which I haven’t done since the spooky old days of East Germany, and visiting the great Berlin museums, I’m contemplating whether I should do some family geneaological research–my grandfather Esau’s family came to Berlin from the area around Danzig after World War I. It would even be intriguing to see if we could visit the now-Polish little village where he was born! 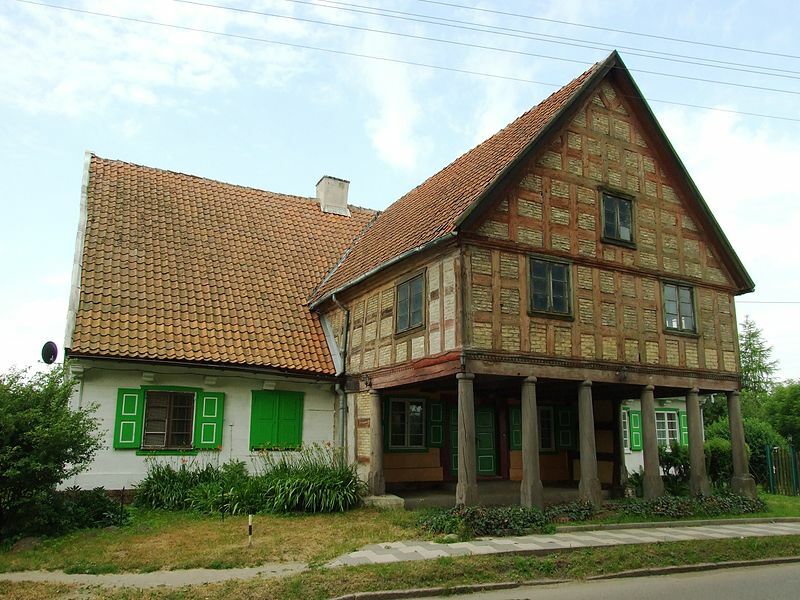 It was in the farm land outside Danzig, now Gdansk, where many Mennonites settled. I’ll have to figure out where and how to look for Prussian archival records. We’ll see if we have enough time. Our plan then is to travel by train through East Germany–all those places I wasn’t allowed to go to when I had a Fulbright in 1974: Dresden, Dessau, Weimar. The train also goes through Prague, then onto Vienna, where we’ll stay for three months or so. That brings us up to date at this point! More to come! Today I booked the first leg of our 9-month trip to Europe: from New York to London, via Iceland! Icelandair has such good deals now, just like they did back in the good ol’ hippie days! We had to land in Iceland on the first flight I took to Europe in 1966. We had to stop there because we were flying on a turboprop plane that couldn’t make it all the way across the Atlantic without a stop! But then we didn’t see anything but the airport. 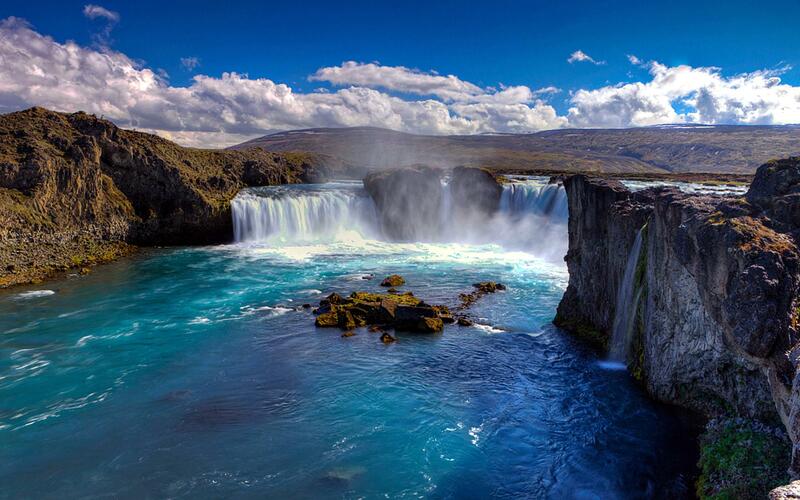 This time the flights are so arranged that there’s a 16-hour layover, so you have to spend some money in Iceland. We now have an Icelandic friend named Hildur–one of Dottie’s family’s exchange students when she was in high school–and she’s a flight attendant on Icelandair. We had wanted to do a stopover of a few days, but couldn’t figure out how to get these inexpensive flights while using the airline’s Stopover amenity. Maybe on the way home, by which time we will no doubt need some time in a thermal bath! I would hope, though, that we’ll have enough time to visit the famous thermal baths before flying on to London, where we might be able to meet our friend Henry and get keys for his London apartment before he flies out for a hiking trip. On our way to galivanting–and cats! So many changes, so much happening! George will retire in July, and having looked at our retirement funds only to find that California is going to be just too expensive for us in our “golden years”, we decided that it would be cheaper to live abroad! Even Europe is cheaper, especially now that the Euro/dollar exchange is near parity. We put the house on all the HomeAway/SabbaticalHomes/AirBnB kind of sites, to see if we could rent it out furnished–and, hopefully, with the cats. We are just not yet ready to sell, until we know where we will want to go for those final years–what a thought! And while we’re still ambulatory and in relatively good shape, we want to call in all our karma, and visit all those places where we have friends and lots of the places that we have always wanted to see. We have now found the perfect person to rent our house from September to June of next year! (Alas, she has a blind dog that she must bring along, so we’re still looking for a place for the cats–sigh. Animals!) We are SO excited–everything is falling into place. Now we are formulating our itinerary: so far it looks something like this: we will drive our car to Max & Dottie, who will be newly settled in Denver (his new position starts in September!). Then we will fly either to New York or to Toronto (we have a bunch of friends there, enough to warrant a visit), stay a few days, then fly to London, where dear old friends from Manchester have an apartment that they visit monthly where we can stay for a week or so. Then fly to Berlin for two weeks, with possible side trips to other parts of Germany. Then we want to take the train to Vienna, via Prague, stopping in Prague for a few days. We will be in Vienna October-December, where we already have a lovely apartment to rent courtesy of another dear old friend. From Vienna, we hope to visit some of the old Austro-Hungarian towns of the Empire; at least get to Brno, Budapest, Bukovina (!) and Ljubljana. Now we’re a bit up in the air about winter: we had hoped to go to Greece for 2 months, but our friend Evy is trying to persuade us to visit in the spring instead. We might then either fly to Mumbai–another friend there–then back to Athens, or we might go to Barcelona or Italy instead. From Athens, I would love to drive through Albania back to Dubrovnik, where our friend Wolfi has a summer house where we can stay. George also wants to spend some time in Trieste, a place that fascinates us both. That would bring us back to Vienna in May or so, from whence we shall return to the States in June. Whew! Then we’ll decide where we’ll be and what to do with our lovely Pasadena home. 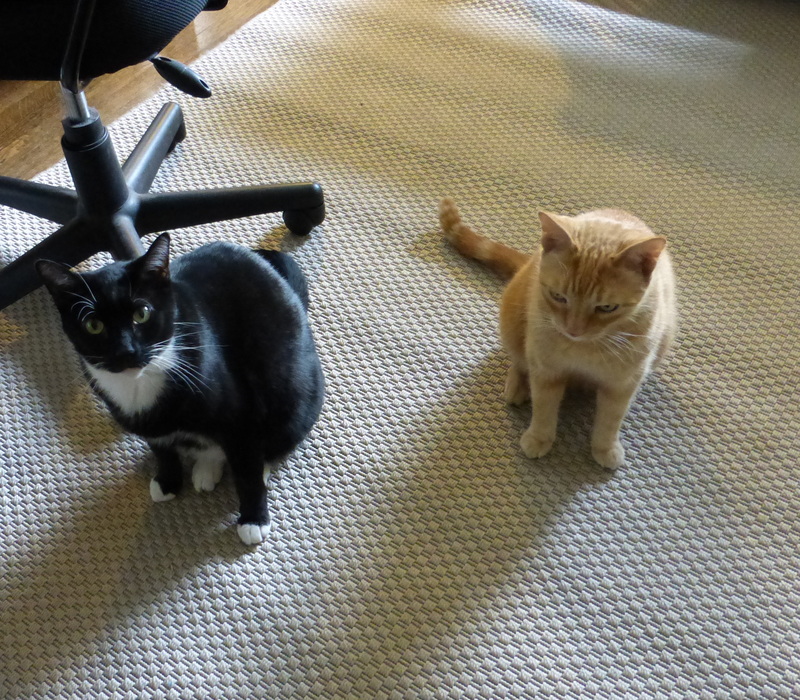 Our only dilemma now are our two 10-year-old, gentle, low-maintenance cats, Zuma and Kolo. They have never been anywhere but this block in Pasadena–Zuma was born in our back yard! If all else fails, we can take them to Max & Dottie, but they will just be settling in to their new lives, and I really would rather have the boys stay in Southern California, where they would at least have the familiarity of the weather. Here they are, Zuma and Kolo. Can you help? Please? I send this out to all my California cat loving friends! We’ll pay for food! Once we’re on our way, I hope to write lots of blog entries about all our adventures.